Empire Aviation Group (EAG), the Dubai-based private aviation specialist and operator of one of the region`s largest fleets of managed business jets, has joined forces with RMSI, the Dubai-based MEDEVAC, emergency medical services and clinical services specialist, to launch a new Intensive Care Air Ambulance service. Under the agreement, EAG will manage and operate a Hawker 800XP business jet which has been specially converted to an air ambulance configuration on behalf of RMSI. The air ambulance is based in Dubai and will serve RMSI clients in the region, including global insurance patients, governments, corporations and private clients, as well as patients in hostile situations and remote locations. The RMSI team looked at the practical medical requirements and EAG advised on the aviation considerations. A Hawker 800XP business jet was converted specifically for the purpose by specialists in Australia, who undertook a full strip-out and conversion to an air ambulance configuration that is fully certified by the manufacturer and the civil aviation authorities. The onboard specifications are an `Intensive Care Ambulance` configuration, which is the gold standard for air ambulance and supports the onboard team including an intensive care doctor and paramedic, capable of monitoring and treating patients in flight. Dubai was the natural selection from which to launch the service. "Choosing Dubai as our regional hub and global HQ was a relatively easy task, given the Emirate`s status as an aviation hub and a trusted medical centre of excellence," says Robert Lamb, President and CEO of RMSI. 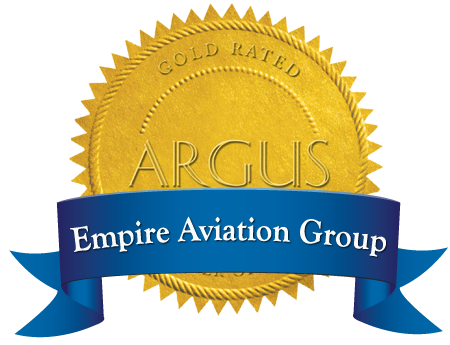 "We are delighted to be working with Empire Aviation Group as our aviation partner because of their regional expertise and knowledge, and more specifically because EAG Executive Director Paras Dhamecha gained air ambulance flight experience in the US and, as our aim is to match the standards of US and European operators, this experience is very valuable." According to EAG, Air Ambulance is one of the most demanding forms of mission undertaken in private aviation. The aircraft selection reflected this and was based on several criteria, including the aircraft`s ability to operate in a variety of demanding conditions with a critical patient onboard, whilst allowing the medical team sufficient space to monitor and treat the patient. Paras Dhamecha, Executive Director of Empire Aviation Group, comments, "The Hawker 800XP offers a very good package of cabin size, range and economy, as well as overall operational capability. Hot weather, high altitude landing capabilities are essential to access these remote areas, whilst cabin temperature and pressure control ensures patient comfort." Typical services are rapid regional response for patients requiring urgent evacuation from areas such as Iraq and Afghanistan. The patient could be a member of the international community, for example an NGO, defence or security personnel, or construction worker, who is evacuated to a point of stabilisation and /or treatment in Dubai. These are critical, life threatening situations and cases involving trauma, as well as serious medical cases which are rendered even more threatening by the remoteness of the patient`s location. "We don`t do the easy jobs," adds Robert Lamb. "Our work is urgent and critical, whilst operating in challenging situations and remote areas and there is no room for compromise when it comes to medical or aviation proficiency and standards."